Stewart Chun always knew he wanted to stay in the islands, but also knew he wanted and needed a quality education. Though he didn’t excel in high school, once he started classes at the University of Hawaiʻi at Mānoa he says things started to click into place. “I blossomed while at CNS, both intellectually and in curiosity,” says Stewart. He graduated in 1976 with his Bachelors of Arts in Zoology and later with a fifth year professional diploma to teach Secondary Education in Biology. He found that the teaching market at the time was saturated, however, so he started to look for other jobs. “I just hit the pavement,” he says. “After a few weeks, I was hired on the spot by a local bank.” With a B.A. degree, he was able to go from his hiring as a Bank Mail Messenger to a Loan Officer position. After working in banking for about 12 years, Stewart saw the industry was starting to adopt a retail-focused model, so he decided to make a change. He used his zoology degree to work for Laboratory Animal Services, and was able to earn his Masters in Library and Information Studies degree in 1996 by going to evening classes. 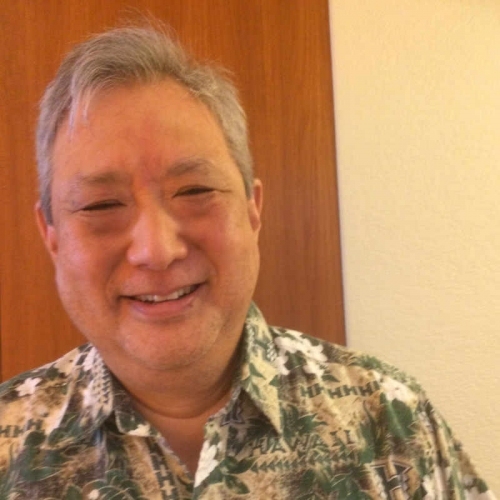 He was hired in 1998 by the Hawaii State Library as an Information Desk librarian and worked his way up to Federal Documents Section Head before retiring in 2016.